Allstar Timken Brand Premium Red Type Wheel Bearing Grease 16 oz. 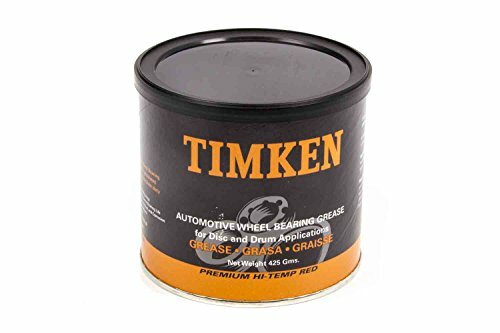 Tub features the Timken brand of wheel bearing grease. This premium, hi-temp, red grease is specifically formulated to handle the demands of both disc and drum bearing applications. It contains corrosion inhibitors and anti-wear and water-resistant additives. It offers superior protection in challenging environments. The national lubrication grease institute (nlgi) certifies the grease to meet the top-rated performance levels in both the chassis grease category (nlgilb) and the wheel bearing grease category (nlgi gc). It features an nlgi no. 2 lithium- complex thickener that resists softening and provides the mechanical stability required for demanding applications. It has a 55 Timken ok load, which means superior load-carrying capability and also contains corrosion inhibitors, anti-wear and water-resistant additives for extra protection. It comes in a 16 ounce tub. It is sold individually.